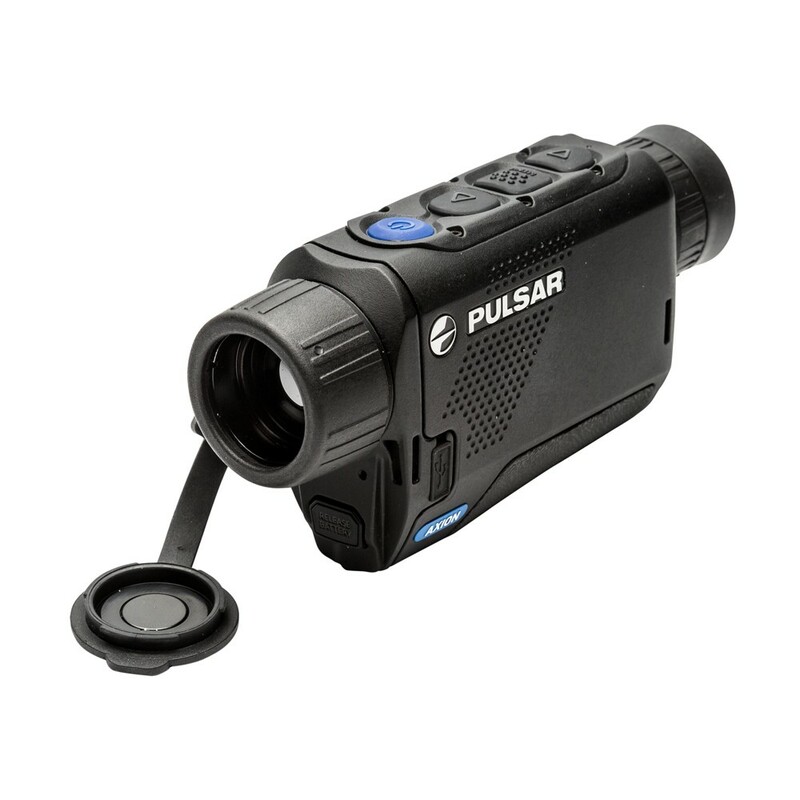 The Pulsar Axion XM38 is advance thermal imaging monocular based on new 320x240 12-micron technology at 50hz refresh rate and HD 1024x768 color AMOLED micro display for exceptional image quality and long detection range – up to 1850 yards. 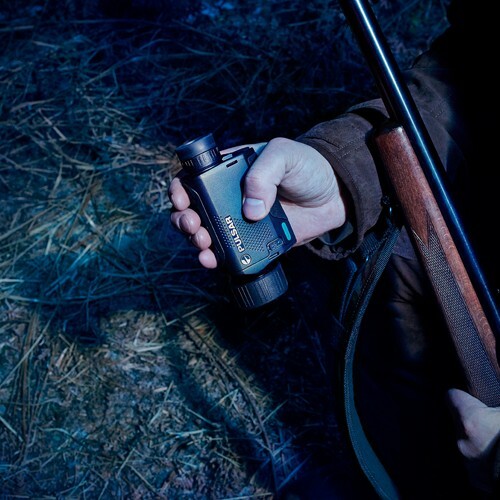 Axion is compact, lightweight and comfortably fits in one hand or pocket. 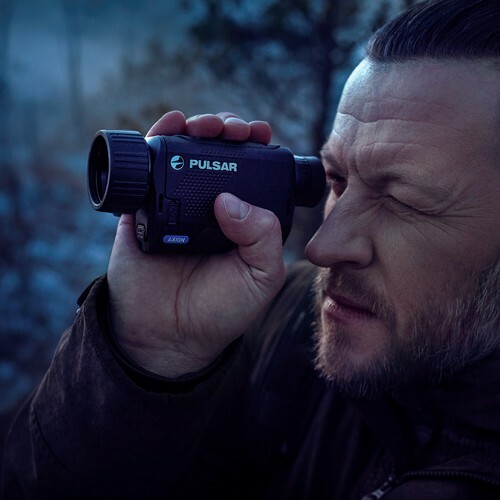 One of the best choices for portable thermal monocular for spotting, scouting and situational awareness. 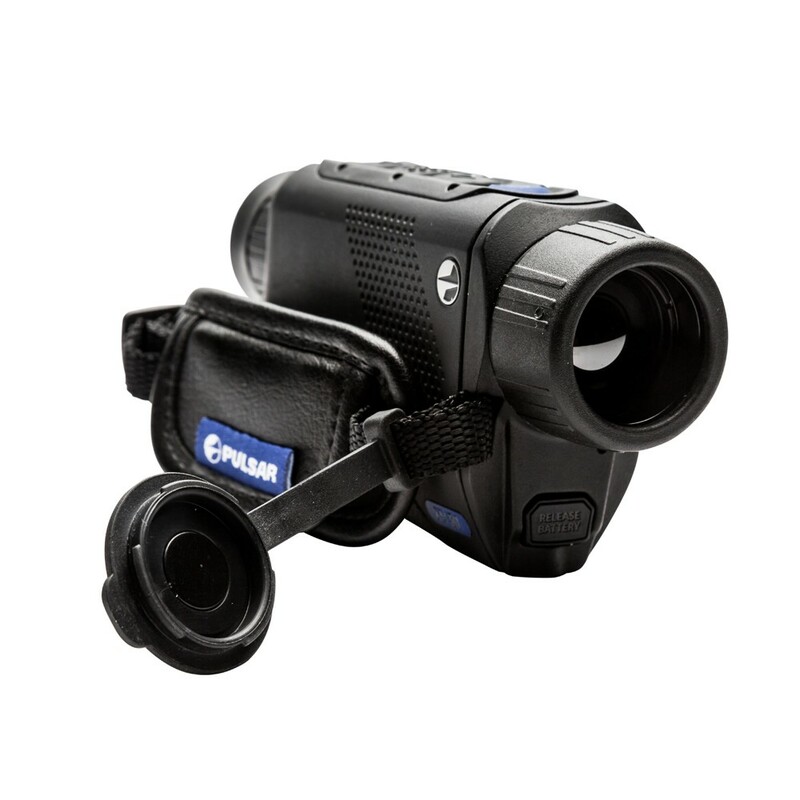 Axion XM38 housing is made from structurally rigid magnesium, weighs only 9.5 oz or 270 grams and waterproof to 3 feet for up to 30 minutes. 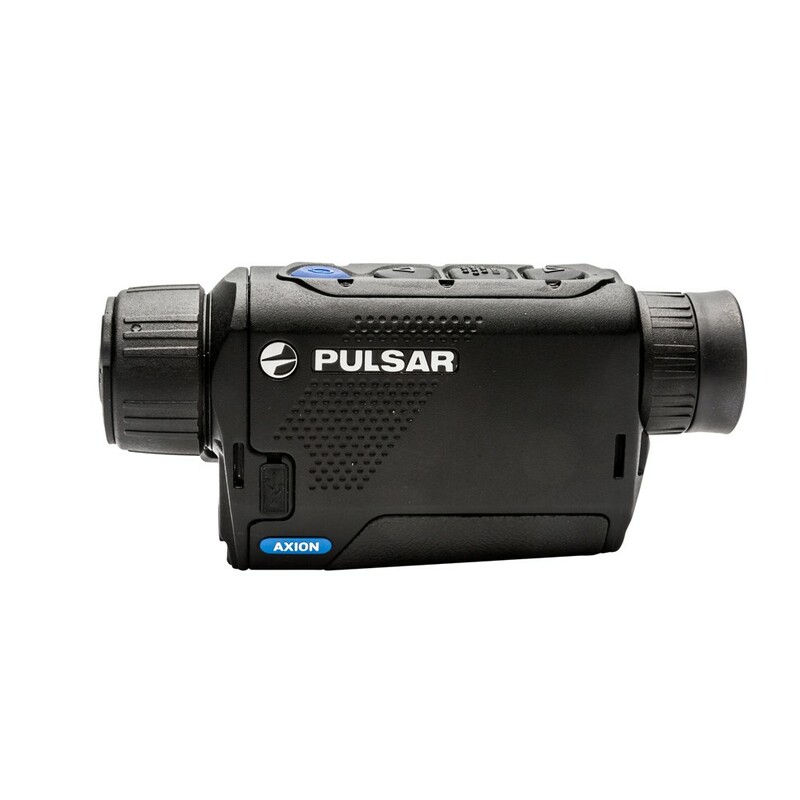 Pulsar Axion XM38 features fast germanium 38mm F1.2 lens with 5.5x native magnification manual focus and up to 22x digital zoom, instant start up, 8 color palette modes including popular “Black Hot” and “White Hot”. 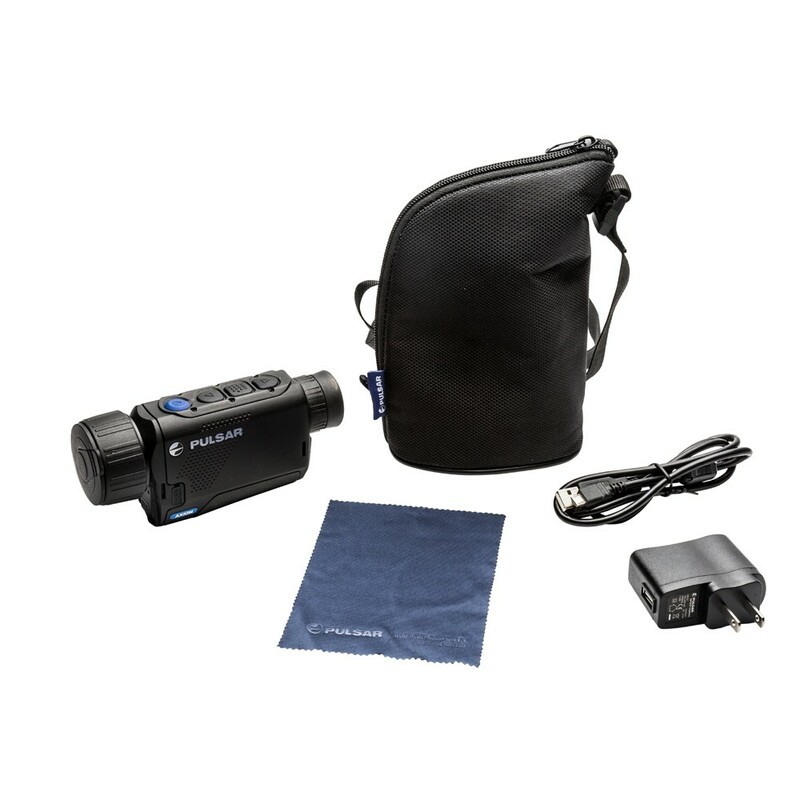 Axion XM38 has a built-in video in MP4 format, photo capturing in JPEG format as well as built in Wi-Fi that provides connectivity to mobile devices via proprietary Stream Vision App. 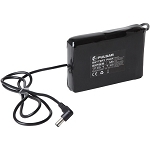 Axion is powered by a quick-change B-Pack Mini power system.